Capable new leaders are in place at the state agency most responsible for protecting older people and other vulnerable Texans. Now it’s time to reset the mission at the Texas Health and Human Services Commission to be sure there’s a focus on aging and quality care for all the people it serves. This year, Gov. Greg Abbott appointed Chris Traylor, a veteran state health and human services executive, as the executive commissioner of HHSC. Charles Smith, another proven leader, has the role of deputy executive commissioner. With these appointments, Abbott has signaled a desire for both strict professionalism and reform for the mammoth 58,000-employee agency. Job No. 1 for the new team must include improving the quality of care in Texas nursing homes. Also important is a new and broad focus on aging issues by HHSC leadership. In addition, the commission must do a better job of protecting taxpayers’ investment and quality care through better management of contracts with HMOs that control most long-term care services delivered in home, community and institutional settings. These three broad priorities are ones that AARP, with 2.2 million members across the state and which advocates on behalf of all people age 50 and older, believes are important and achievable for HHSC. Improving the quality of care in nursing homes is paramount. The current level of attention by the state on these facilities and their operators is unacceptable. Based on data reported by nursing homes and presented in AARP’s long term care scorecard, Texas nursing homes rank dismally compared to other states. Texas nursing home residents are too often being left to suffer with preventable and serious injuries like bed sores or are being put on antipsychotic medications that are not indicated for their conditions. In addition, Texas’ nursing home staff turnover rate is the highest in the nation. 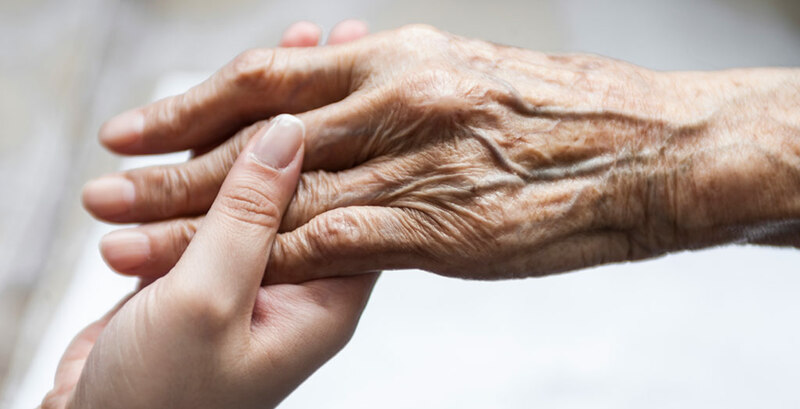 When families make the difficult decision to place a loved one in a nursing home, they do it with every expectation that the state will assure that they will be well cared for and safe. Unfortunately, the state hasn’t been keeping its end of the bargain. A Texas nursing home license should be the state’s seal of approval that a family can count on. It should mean that a nursing home will provide safe and humane care. Unfortunately, that’s not always the case. The Legislature’s approval and Abbott’s signing of Senate Bill 304, known as the “Three Strikes Rule” bill by Sen. Charles Schwertner, R-Georgetown, is a big step forward. The legislation requires the Department of Aging and Disability Services to revoke the license of nursing homes cited for the most severe violations three times within 24 months. But more can be done. A shift in regulatory philosophy is needed. By putting attention first on bad actors and poor performers in the nursing home industry, building a strong agency structure, and by signaling a firm stance with the industry, HHSC can begin to reverse unacceptable performance. As for creating a new focus on aging across the HHSC enterprise, I believe it can begin by establishing a high-level office or division on aging that directly reports to the executive commissioner. These officials should have broad latitude to lead projects and review policies that affect older Texans. With 10,000 people turning 65 every day in the U.S. and the Texas state demographer projecting that the number of people age 65 and older will triple by 2050, the need for a focus on aging is obvious. Accordingly, Texas faces a number of planning challenges, including the need for a caregiving workforce, and greater access to community-based services that help divert individuals from costly institutionalized care. Lastly, officials at HHSC must ride herd better on managed-care contracting. HMOs control the care that is provided to people. Meanwhile, in a sharply critical report, the Sunset Advisory Commission reported that the Texas health and human services system had nearly 34,000 contracts with private entities valued at more than $24 billion, and it has mishandled some of them. AARP will be keeping a close eye on HHSC. I am hopeful that Texas will significantly improve how we care for and protect older and other vulnerable Texans. That is a message AARP members in Texas want to hear.